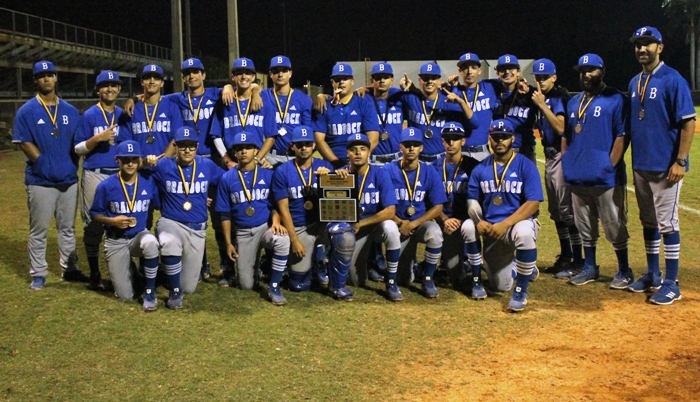 Coming into the HSBN March Madness Championship game, Braddock had given up two runs in three games. With the title on the line Wednesday night, the Bulldogs turned the ball over to left-handed freshman Mel Rubiero, starting the first game of his varsity career. The pressure of the moment did not affect Rubiero, as he threw a complete game, while striking out 10 and not issuing a walk in the Bulldogs 5-2 win over Coral Park. On the other side of the field, Coral Park had an ace of their own on the mound. Willie Silva held Braddock hitters down for the first four innings. The one run in those four innings came in the first when Zach Neto reached on a two-base error, then scored on an Eduardo Diaz double. Leduar Perez followed with a single, but Rubiero worked out of the jam. That would prove to be the only real threat against Rubiero on the night. That offense came alive in the fifth. Pedro Castillo and Christian Cardet hit one-out singles, putting runners on the corners. Lead-off hitter Joey Franco was hit by a pitch, and after a strikeout, Hianny Olivares stepped to the plate with the game on the line. Olivares worked the count, and then drilled a bases clearing double, giving Braddock a 3-1 lead that they would never relinquish. Coral Park had an answer in their half of the fifth, cutting the lead to 3-2 on a Silva double, scoring Jordan Rollins, who had reached on an error. In the seventh, with the Braddock dugout chanting different insurance company names, indicating they needed some insurance runs, Olivares again came through, hitting a single, scoring Cardet and Franco. Olivares finished with all five Bulldog RBIs. “He had a heck of a game,” said Morejon. 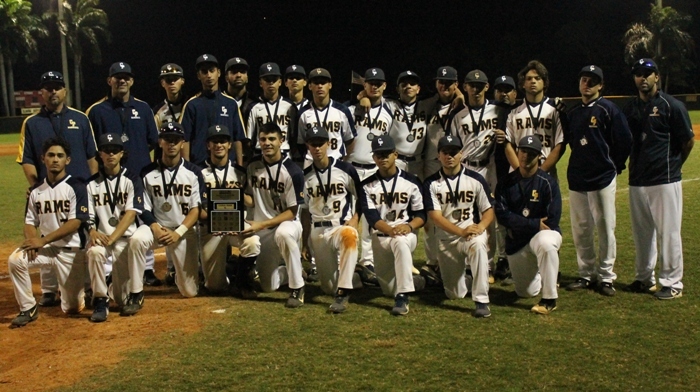 Rubiero then shut the door in the seventh, and Braddock claimed the tournament title. “You have to tip your hat to him (Rubiero), he threw a great game,” said an always gracious Coral Park Manager Butch Carnicero. 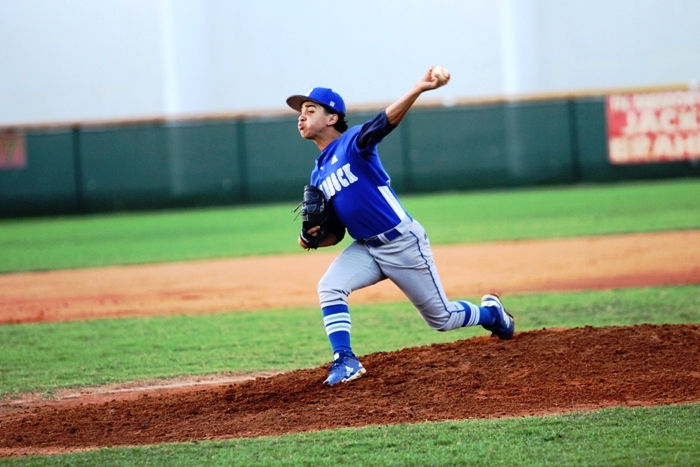 With the win, Braddock capped a perfect 4-0 tournament, one that Morejon hopes can carry Braddock down the stretch. As for Coral Park, they also will attempt to use the tournament as a springboard for the rest of the season. Like Braddock, the Rams have been up and down to start the season.